Lal quila fort, Fort Rouge and Red fort of Agra are the famous forts here. These are said to be famous sisters of Taj Mahal. Sikandara fort is main broad institutions like arts, literature and religion. Itmad ud Daulah Tomb is a Mughal Mausoleum in the city of Uttar Pradesh. It is often described as Jewel box. Fatehpur sikri, RamBagh, Dayal bagh, Jama Masjid, Jehangir Mahal, Diwan-I-m, Seesh mahal, Khas mahal and Panch mahal are other tourist attractions that should be seen. City of Agra is here to bring you some multi cuisine Agra flavor. It has some of the best meats prepared in the Mughal kitchen. The Mughlai cuisine includes sauces of milk, curd, cream, crushed nuts etc. you can get the local taste of the Tajmahal and Agra dishes in the local restaurants. Agra is also famous for shopping and many such markets. Some of the famous markets are Gokulpura marble market, Shah market, Rajpuri chung, New Agra market, Kamla nath main market etc. You can buy some handicrafts, handloom materials, fabrics, tajmahal printed clothes and even leather products. You can shop for these items in very cheaper price. Loha mandi, Dayal Bagh, Rakabganj are other places where you can shop easily. 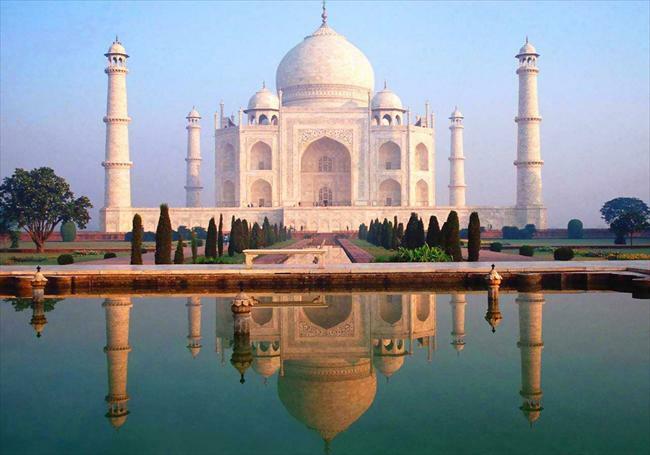 Agra is one of the most sorts out tourist destination in India. It is well connected to all major cities and town. You can get the main railway station, airport all situated in Agra. So it is easy to get there. It has all routes of bus connections. India tour city will help you visit everything without any hassles of having best affordable accommodation and sightseeing travel package. Let us help you organize your trip.